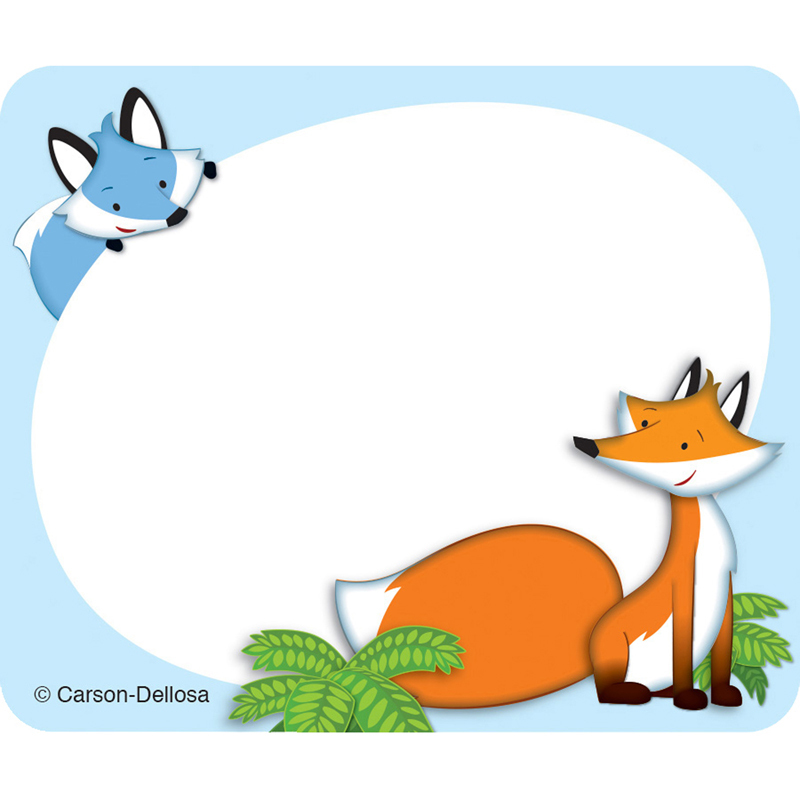 Students will love the friendly foxes and cuddly kits featured on the Playful Foxes name tags. Stay organized and get creative using these ready-to-use name tags for games, storage boxes, charts and even folders! Also perfect for class trips or open houses! The Playful Foxes collection features an extended family of foxes set in a pleasant landscape of tree stumps and sleepy-time caves. These sweet creatures add a touch of the forest to the classroom while meeting the curriculum needs of the teacher and students. Look for coordinating products in this character theme and a full assortment of coordinating color pallet designs to create an exciting classroom theme! Pack includes 40, 3 inch x 2 1/2 inch self-adhesive name tags per pack.